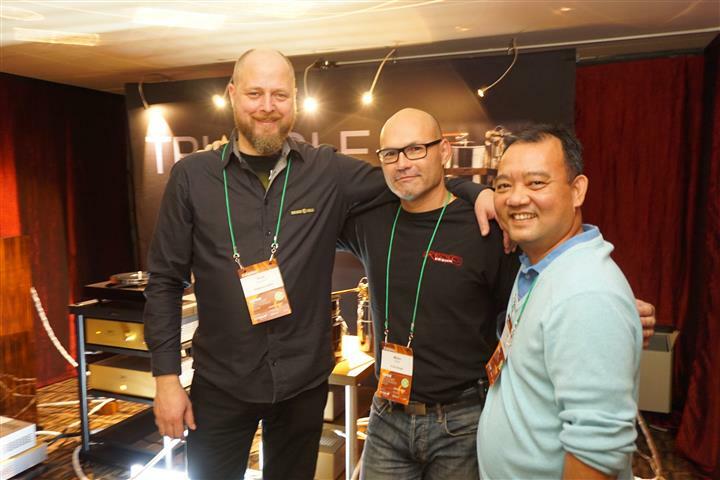 Welcome to Part 2 of George’s TAVES 2016 coverage. If you missed Part 1, please give it a read HERE. 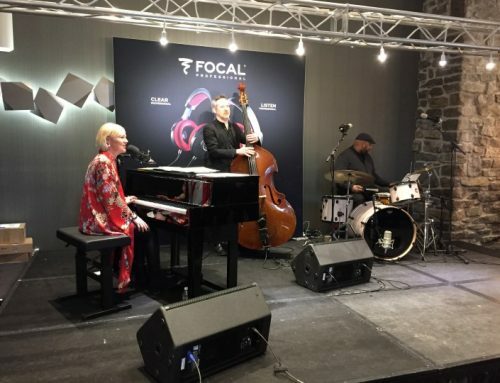 Totem Acoustic, the presenting sponsor of TAVES, was displaying two systems, artfully separated within a superbly decorated large room. Lucy Lentini’s eye for fashion and style always comes through in Totem marketing materials and show setups — and this was no exception. 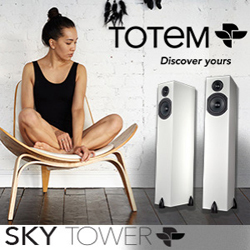 The first system debuted Totem’s all-new SKY monitor speaker ($1,850/pair; shown to the world for the first time at TAVES), powered by BSC Audio amplification. Designed for budget and space conscious music listeners, the SKY replaces the long-lived and extremely well-regarded Model 1 Signature speaker, which was recently discontinued. What I heard from the SKY was impressive to say the least, as they produced a surprisingly full bass and a pleasing top end. 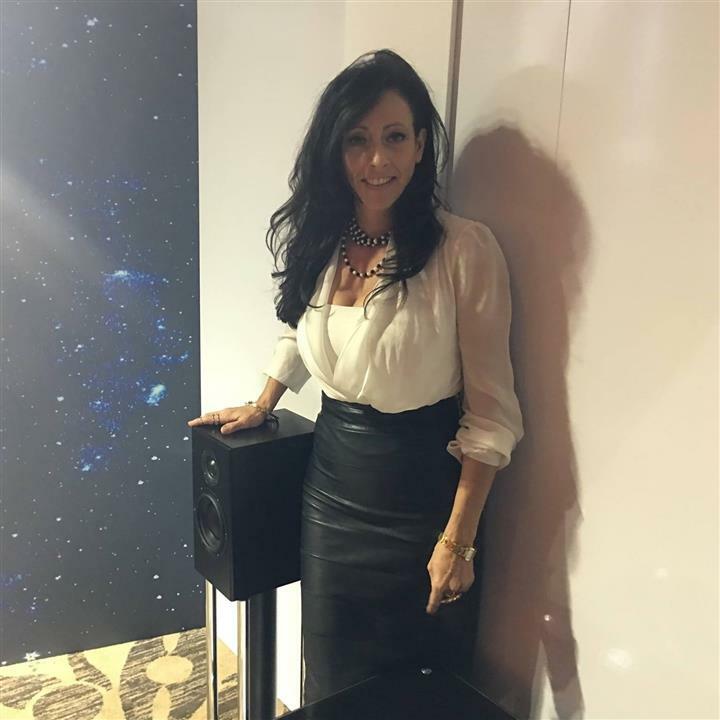 One of our contributors at NOVO magazine, David Mitchell is currently working on a review of the SKY loudspeakers, so keep a watch out for that. 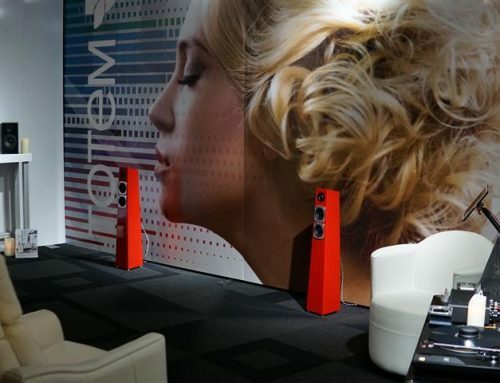 The second system showcased Totem’s Element Metal loudspeakers ($13,000/pair). 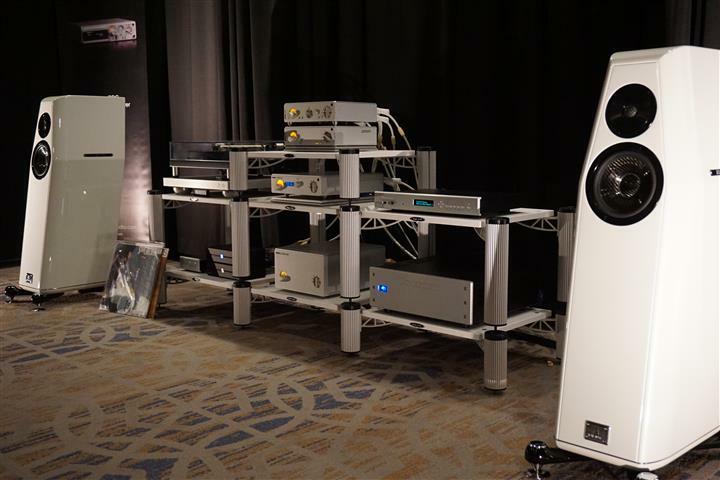 The monoblock amps and preamp were BSC Audio by Bret d’Agostino, with a Bricasti M1 DAC and Torus RM Series power isolation. Listening to this system play Nils Lofgren Band’s “Bass & Drum Intro” immediately established its ability for incredibly tight, precise, crisp sound. I found Ricky of Ovation Audio with ProAc speakers in one of the rooms at TAVES. I hadn’t heard ProAc in a long time and was glad to be reunited with them in Ricky’s room. 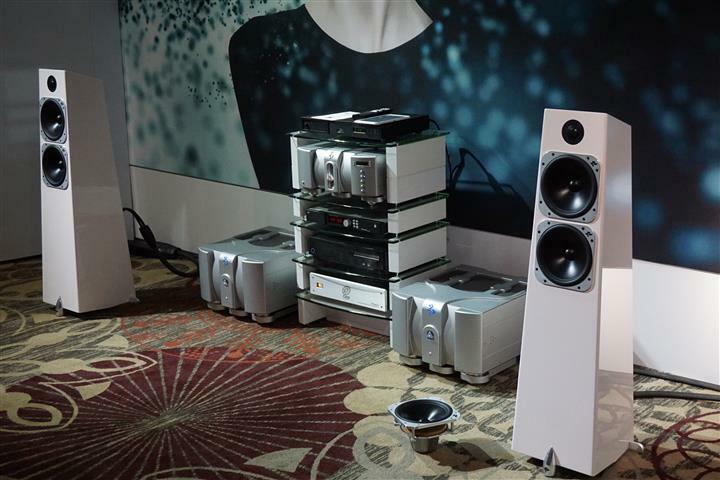 The ProAc D20R 2-way speakers ($5,399) were being driven by Hegel amplification, through one of two systems. 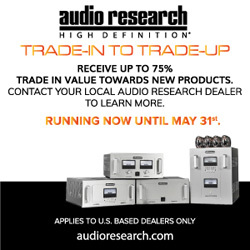 The first used a Hegel H20 power amp, P20 preamp, CDP2A player or Acoustic Solid – Solid III Metal turntable with WTB 303 arm and Nagoka Mp110 cartridge ($3,875 pkg.). The turntable was paired with an Acoustic Solid – Solid III Metal Stand ($600) and MM/MC phonostage ($1,800). 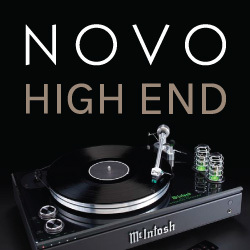 The other system used was an Acoustic Solid, Solid Wood MPX turntable ($3,750), WTB213 tonearm ($2,520), Synthesis MM/MC tube phono ($2,800) and a Hegel H360 integrated amplifier ($6,500). The sound was warm and inviting, with lovely bass weight and natural tonality, accompanied by a delicate top end. 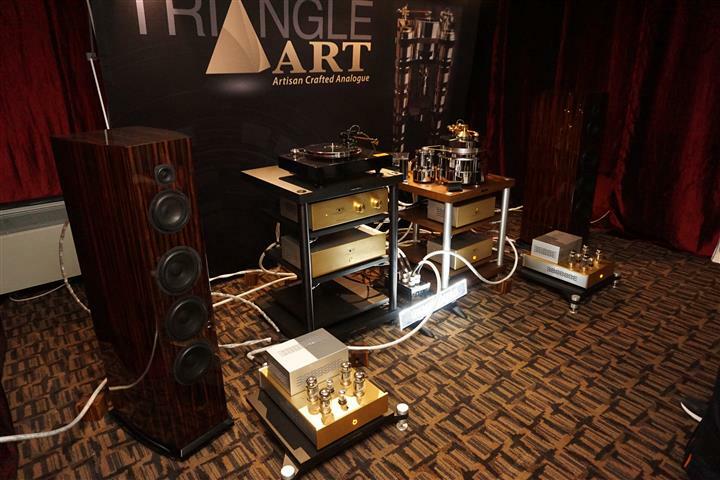 A beautiful setup was comprised of Triangle Art electronics, with Skogrand cables and Krolo Designs racks. 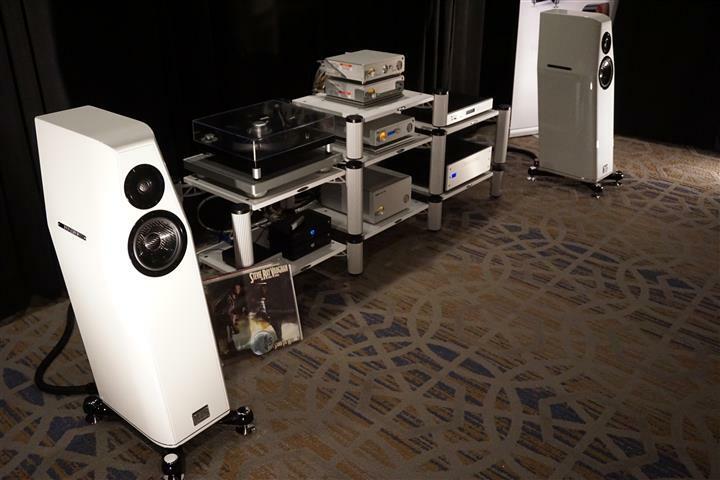 Venture Audio’s Ultimate MKII loudspeakers ($60,000 U.S.) were being played. 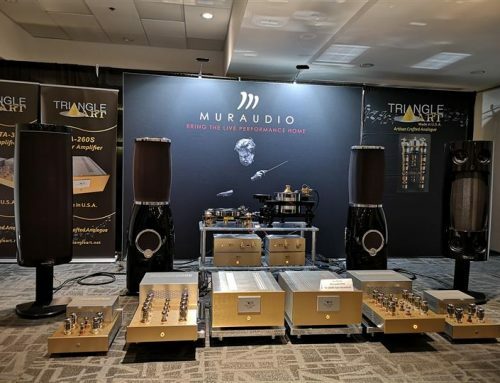 All-new Triangle Art Reference components were being demonstrated, including: the Triangle Art Reference Tube mono amps ($18,000 U.S.), Reference Phono Pre Power Supply and Line Stage ($16,000) and Reference Preamp Line Stage and Power Supply ($18,000). A Triangle Art Symphony Table with new T.A. Horus tonearm and T.A. Zeus cartridge ($7,000) was being played, along with the Triangle Art Signature turntables and Siri tonearm ($16,000). Cabling was top-of-the-line Skogrand Beethoven – if you have to ask how much, you can’t afford it. 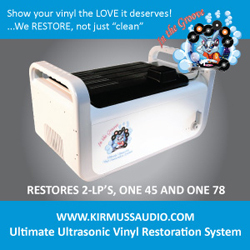 And the system was sitting on Krolo Designs racks – large ($5,400) / small ($4,100). The sound was marvelous with a rich, liquid sound that expressed ease and naturalness. Listening to Miles David, Kind of Blue, images were life-sized and I was amazed at the lifelike manner in which the brushes were portrayed, having physical presence. 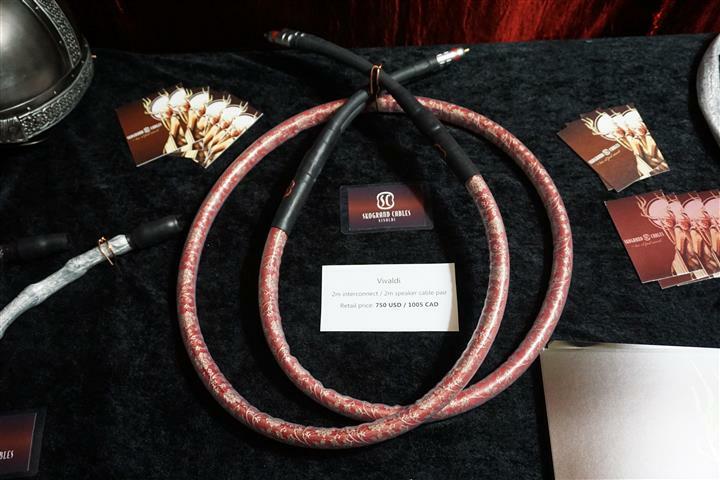 Skogrand premiered its all-new Vivaldi range of cables at this year’s TAVES, which brings the company’s “special sauce” to a much more affordable level. A pair of 2 meter interconnects starts at just $750 US. Look out for a review of Skogrand Vivaldi cables in the NOVO magazine soon. Here are the happy hosts of the room: Knut Skogrand, Mirko Krolo and Tommy Vu (Mr. Triangle Art). Rob and Mike of Audio Eden decided to take the gloves off with a Nagra, Kharma International and Bryston system. Nagra components employed were: Jazz pre ($20,000), MPS power supply ($8,500), Classic DAC ($17,995) and Classic Amp ($21,495). Bryston components were: BLP-1 turntable and BTP-1 power supply ($3,995) with Dynavector XX2 cartridge ($2,350), as well as a BDP-2 digital player ($3,295) and BIT20 power ($3,995). The Kharma Elegance S7 loudspeaker ($21,750), along with Khrama speaker cables ($7,500/pr) were up front. 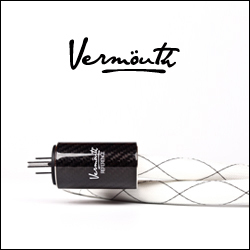 All other cabling was Nordost, including Valhalla II and Odin II. This system had tremendous detail, clarity and timing. 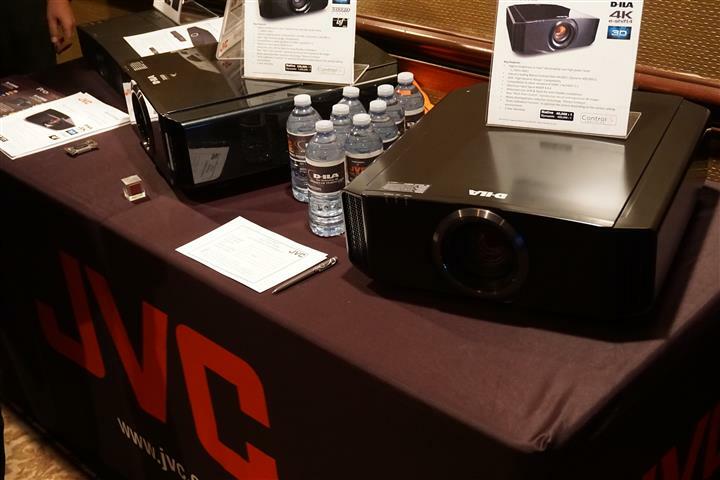 JVC Canada put together a home theatre setup at TAVES based around their D-ILA HDR 4K projectors, with Paradigm loudspeakers and Anthem AV electronics. 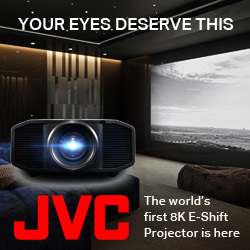 The projector in play was the JVC DLA-X750 RB Procision 3D / 4K / HDR model ($7,499), projecting onto a 133” SI screen. The image quality was superb, with amazing detail and contrast and I was craving to sit down and take in a full feature length film given the lifelike and immersive image. 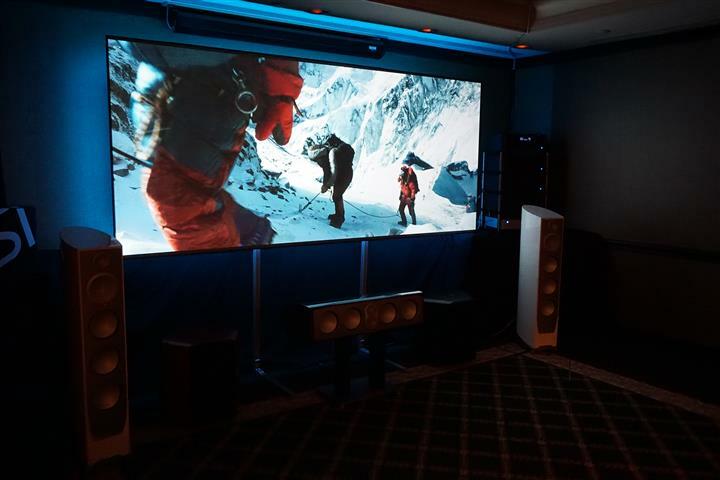 The audio system in the room was a full 7.2.4 Dolby Atmos setup with Paradigm Persona 5F loudspeakers ($9,999/each), Personal C centre ($8,799), Prestige 25s surrounds ($1,099), Millenia 2.0 overhead ($600/each) and twin SUB1 subwoofers. 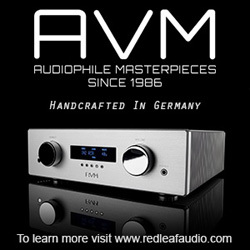 An Anthem AVM60 pre/pro ($3,299) with two MCA 525 amplifiers ($3,999/each) and an MCA225 amp ($2,499) were providing the juice. Other projectors on static display were the DLA-X950RB ($11,500) and DLA-X550RB ($4,699) as well as the LX-FH50. 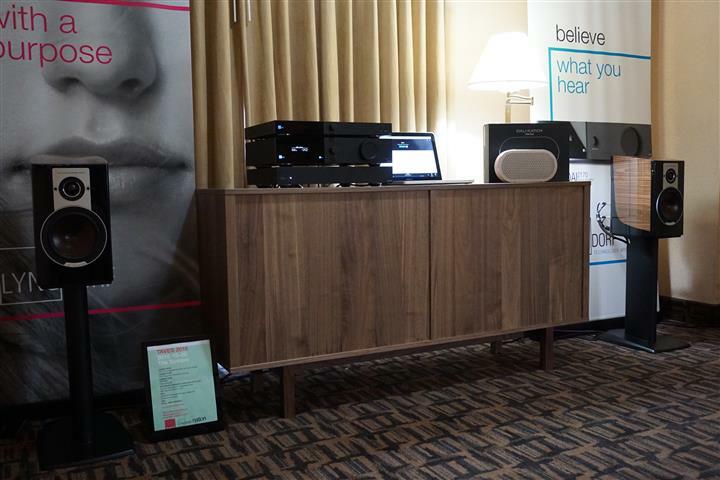 This was the first appearance of KEF and VPI in their own room at TAVES and what an appearance it was. 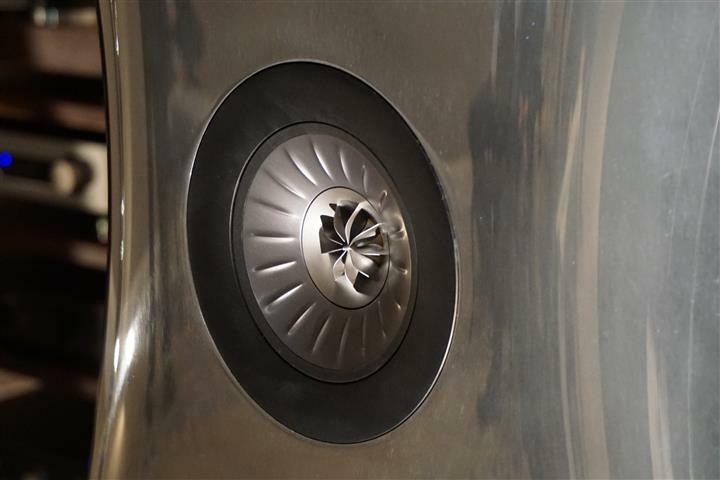 KEF decided to go all-out with their assault, bringing up a pair of Muon MKII loudspeakers ($225,000 U.S.) in their magnificent polished aluminum finish. 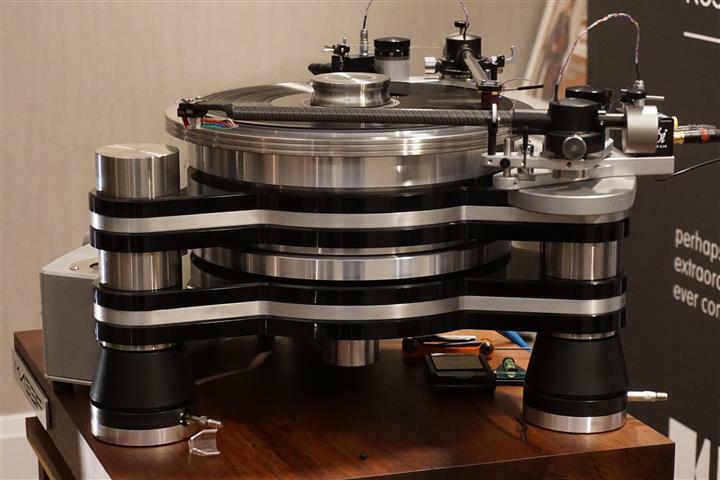 No less impressive was VPI’s new flagship turntable, the VPI Titan ($48,000 U.S.) with its two 3D printed arms lashed to some amazing cartridges – the Lyra Etna ($9,000) and the Lyra Elan ($12,500). 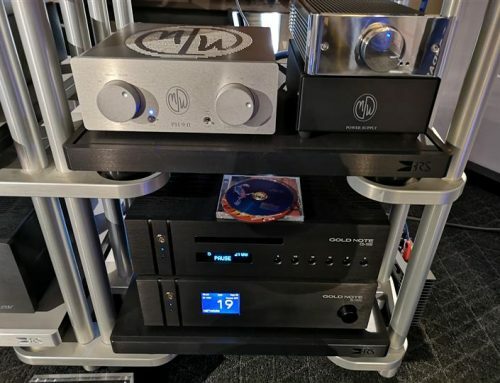 Also worth highlighting, was the debut of the VPI Aurora phonostage preamplifier ($6000 U.S.) that was directly connected to a pair of Hegel H30 monoblock amplfiers ($15,000/pair). 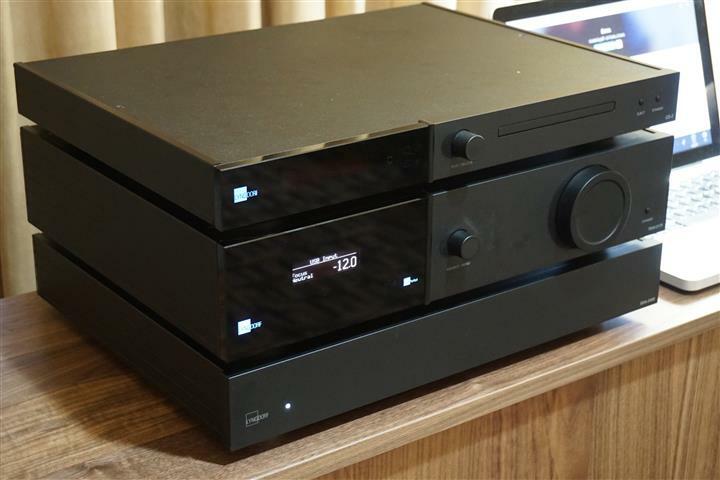 The digital source was a Hegel HD30 DAC ($5,700), streaming from a laptop running JRiver. Cabling was Nordost Valhalla 2. I was totally flabbergasted by the vitality and lifelike size of the sound. Playing symphonic music it sounded as if a full orchestra, in all its size and majesty had been conjured from the air. 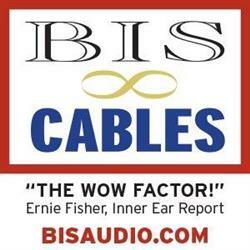 This system showed just why you need to spend the big bucks, if you want to get believably big sound. Yet, when it came to delicacy and mid-range purity, this KEF / VPI system showed amazing proficiency. 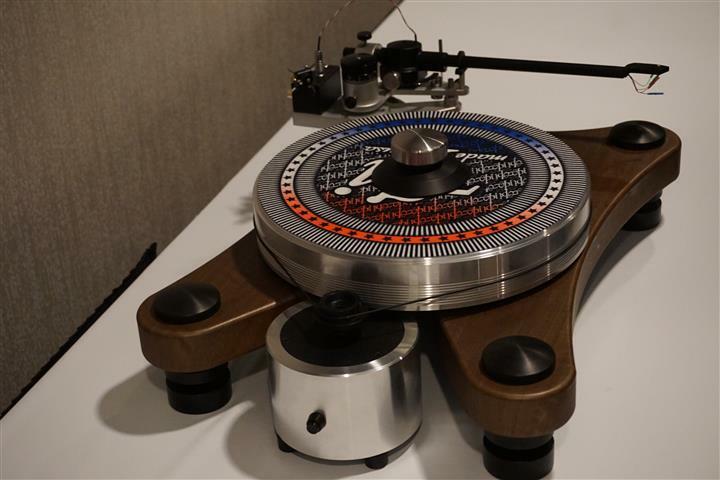 On static display was VPI’s Prime turntable ($4,000 U.S.) in their new walnut finish. I would have loved to hear what this table could have done, in place of the VPI Titan. Outside the room was a more affordable setup, a KEF/VPI setup for the masses. 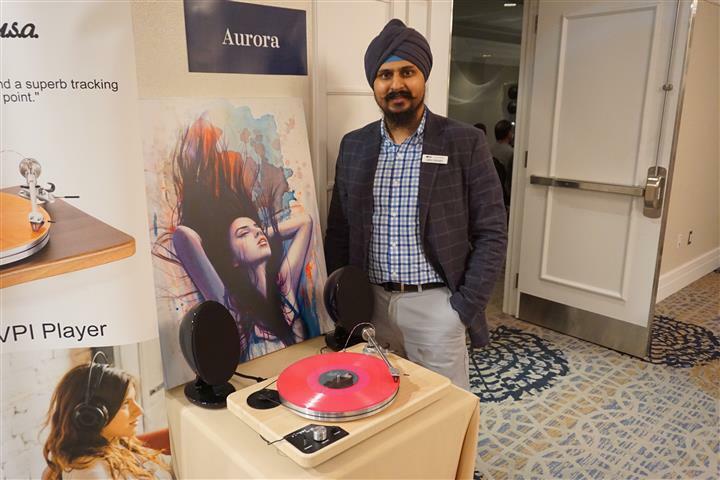 And Dipin Sehdev of KEF was there to pose with the VPI Play turntable ($1,200 U.S.) and KEF Eggs ($500 U.S.). 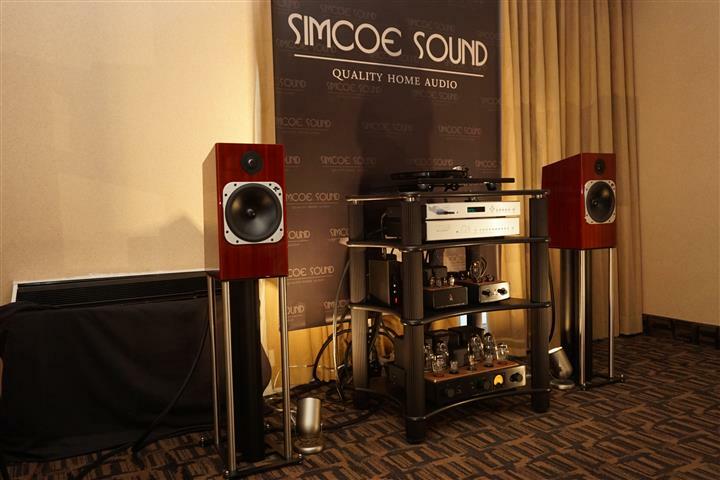 Simcoe Sound, a dealer from Barrie, Ontario was making their debut exhibition at TAVES this year. 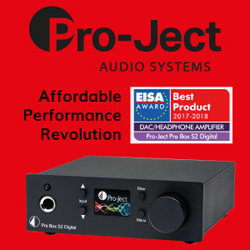 Scott Mercier, the owner, is always a pleasant guy to chat with, and was introducing a new brand to their store at the show – Icon Audio. Icon Audio is based out of Leicester, England, and I was curious to hear their tube gear. 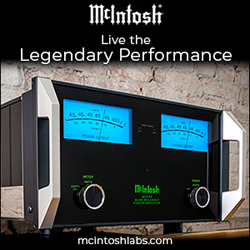 The Icon Audio products in the system included their Stereo 60 MK IIIm integrated amplifier, reputed as the “world’s first KT150 integrated UL/Triode Hi Fi amplifier” ($6,100), and their PS 3 MKII MM/MC phonostage with separate tube power supply ($4,600). A Bryston BDP-2 digital player ($3,295) and BDA-3 DAC ($3,695) satisfied the digital needs, while a Rega RP6 turntable ($2,000) and Benz Ace SM cartridge ($1,100) served up the vinyl. 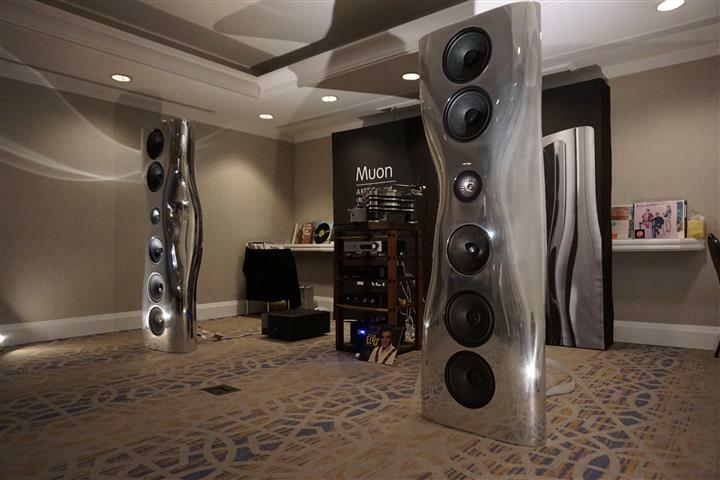 The speakers were Totem Element Fire ($6,500/pr) with the rack/stands by Solid Tech and Custom Designs. Listening to the Totem Element Fire, I was impressed by the musicality of the system, the balance of detail, texture, warmth and flow. 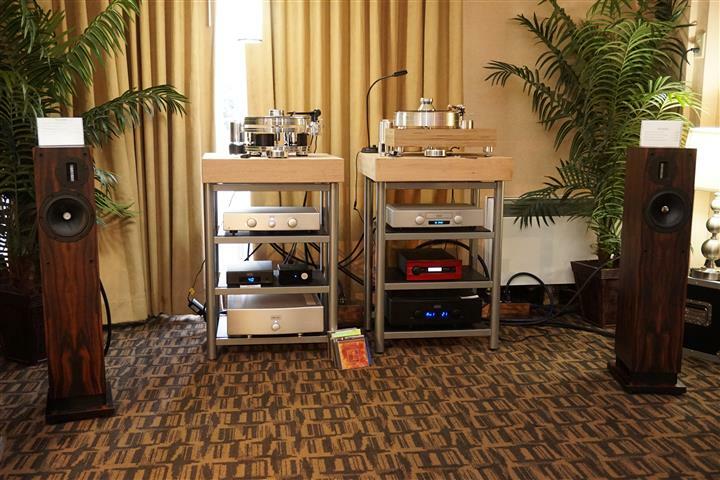 Jeff Wells of Nation Imports had an interesting system combining Lyngdorf Audio and DALI. 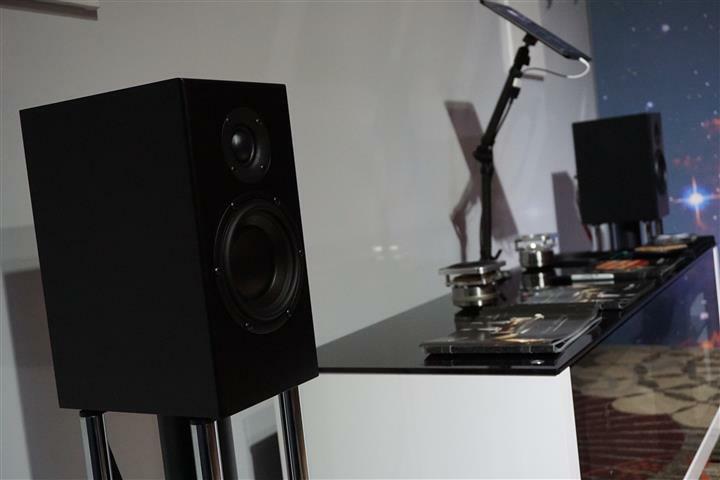 The loudspeakers were the DALI Epicon 2 ($10,000/pair) using DALI RM230 ST speaker cables ($600/pr). 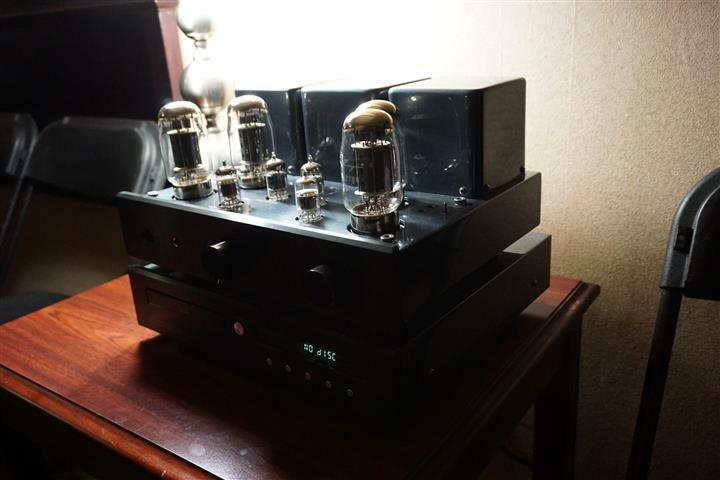 The source was a Lyngdorf Audio CD-2 Pure Audio CDP ($3,499) into a TDAI 2170 integrated amplifier ($3,999), paired with an SDA 2400 power amp ($3,000). What caught my attention was the unorthodox position of the speakers, non-toed, quite separated and very close to the back wall, yet upon play of the tune “Keith Don’t Go” the sound was quick, with fast transients, while possessing both harmonic colour and airiness – absent of any bloating, thickness or overhang. Whether this was due to the active “Room Perfect” adjustments or something else, I enjoyed what I heard. 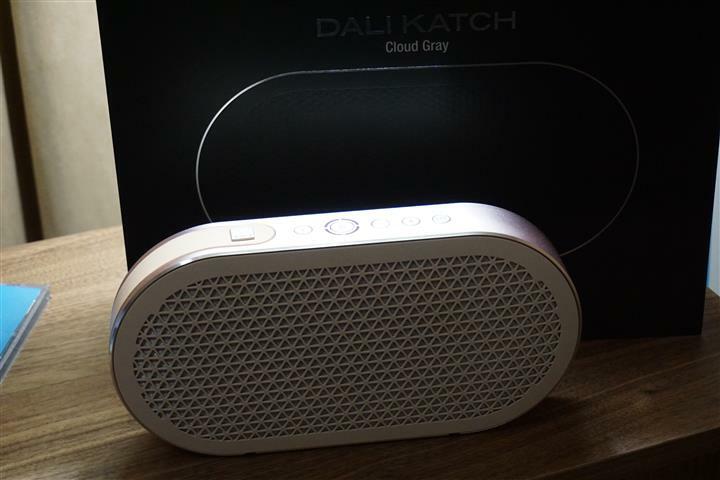 The DALI Katch ($599), a portable Bluetooth 4.0 2-way/2-channel 4-driver (tweeters and woofers) speaker was on static display but caught my attention given its stealthy size and chic styling. Despite being small it is rated at 25 watts x 2. 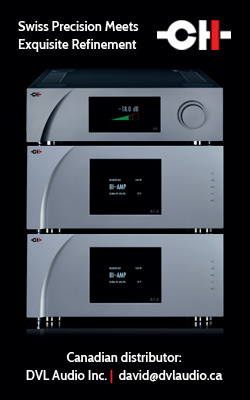 I also took note of the Cayin CS 55A Integrated tube amplifier with USB-DAC ($2,699) that does 40 wpc UL / 22 wpc TRI. 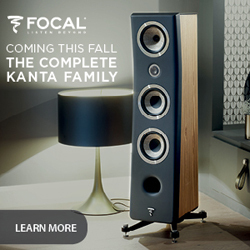 It was sitting atop a Cayin CS55 CDP with USB-DAC ($1,499). 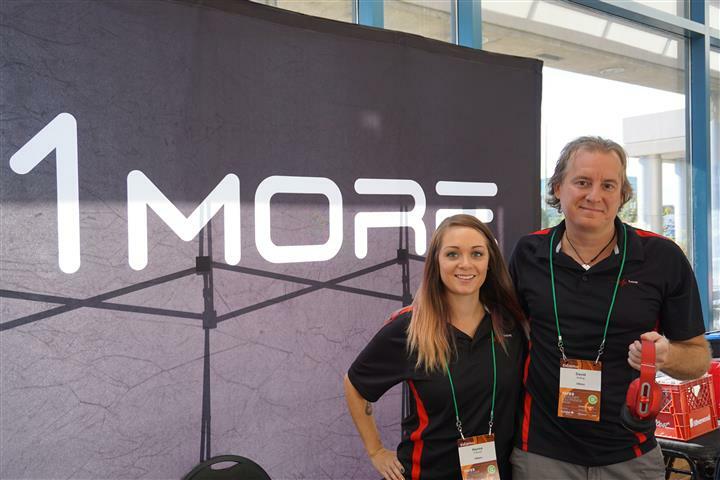 At this show booth, I came across a brand that was new to me, called 1More. Headquartered in San Diego California, this company aims to provide high quality / high performance headphone products at very affordable prices. David Kellogg and Alyssa Freund, representing 1More, gave me an introductory listen, which sparked my interest. 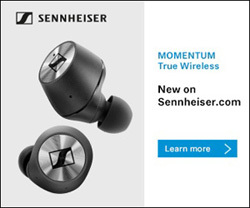 The highlight was the 1More E1001 Triple-Drive In-Ear headphone. This tiny headphone incorporates dual balance armatures, plus a dynamic driver, all for $99.99 U.S. A short listen had me sold – punchy sound, with a layered soundstage, open and surprisingly detailed (watch for a full-review in NOVO to come). Honestly, check the company out as they have a full selection that will please just anyone’s taste / budget. 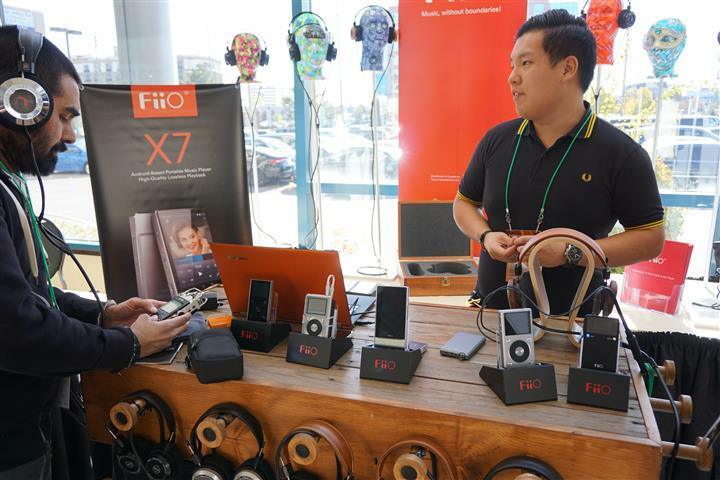 Peter was manning the ship over at the FiiO booth. Their various portable music players could be heard with a variety of Grado headphones. 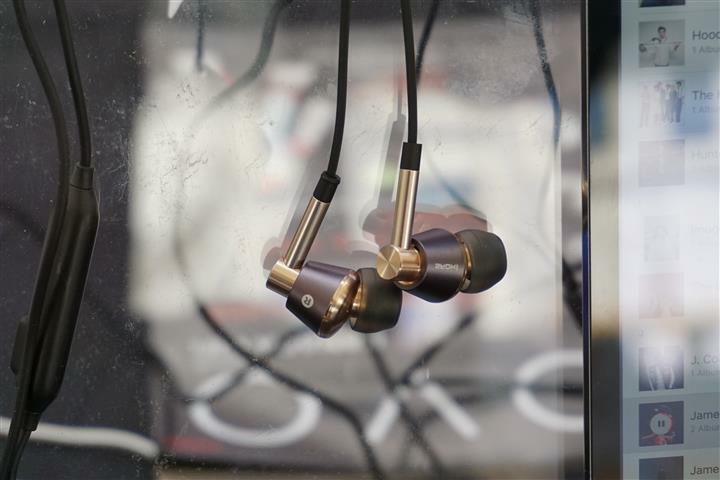 This booth was getting a lot of attention, and so it should, as FiiO products have got a great build, amazing performance and a good feature set that’s been growing with more recent models. 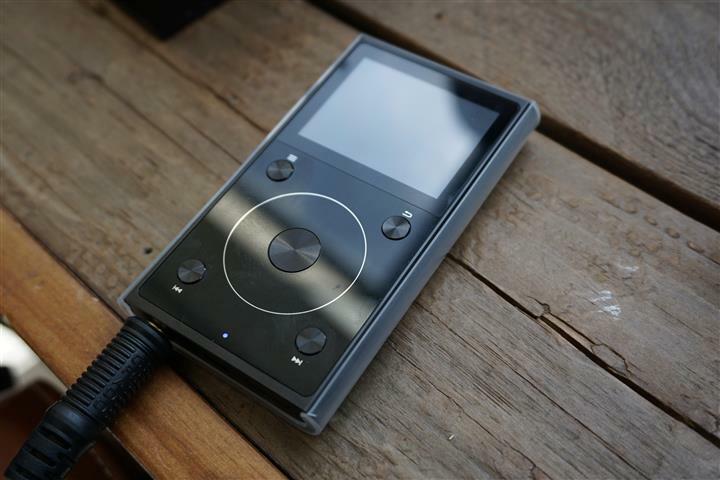 FiiO has just updated their popular X1 portable Hi-Res DAP (digital audio player) with the new X1-2, ($149.99) just released in October. The new X1-2 supports most lossless/hi-res formats, is Bluetooth 4.0 compatible, and comes with 256GB memory on board, which can be doubled with an optional SD card. It also sports a nice 2.0” colour touch screen. 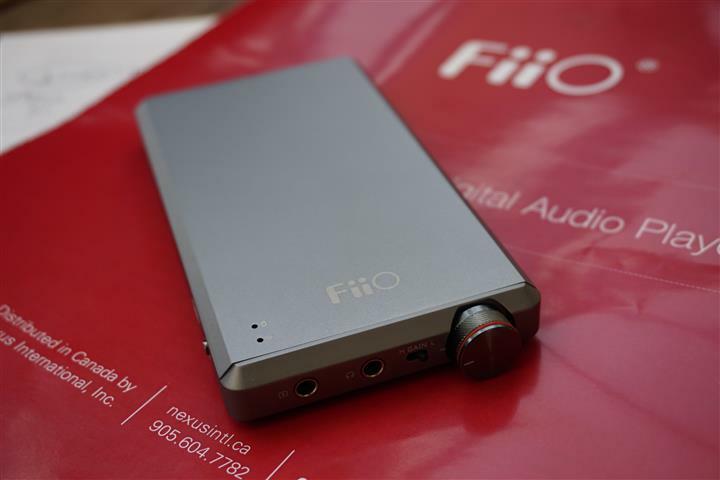 Also new (1st Canadian showing) was the FiiO A5 portable headphone amp ($139.99) that is compact and stylish and is sure to improve your music listening with your smartphone. 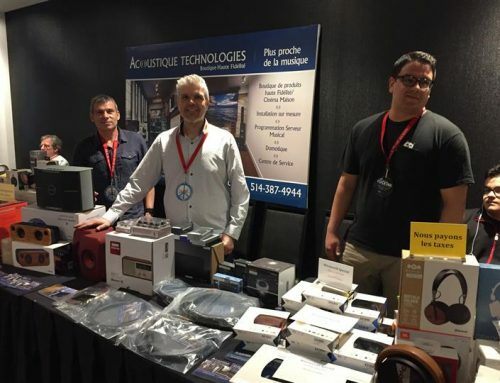 It was great to find PMC at TAVES, showing off in a room with Audio Alchemy electronics and XLO cabling. 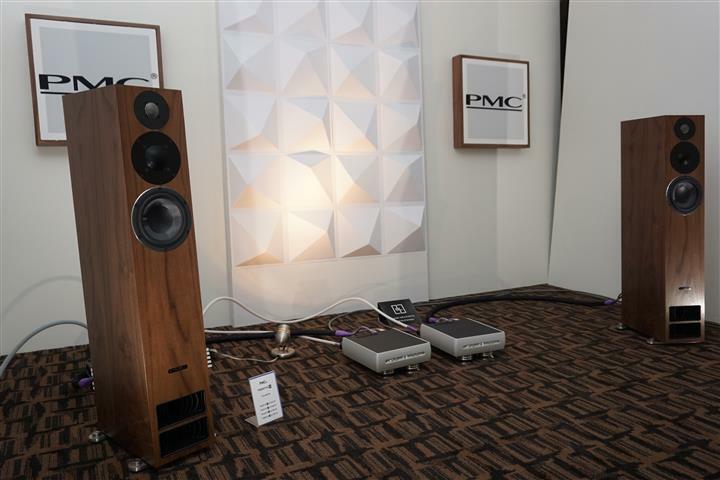 The system on demo included the PMC Twenty5 26 ($16,000/pr) loudspeakers driven by Audio Alchemy’s DPA-1M Monoblock Hybrid Digital Power Amps ($2,899/each). The Audio Alchemy DDP-1, Digital Decoding Preamp/DAC/Headamp ($2,899) with PS-5 Power Supply upgrade ($899) was handling control, fed by a Lumin music server, along with a Hegel CDP. 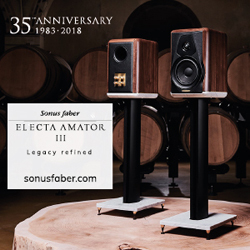 This system sounded controlled with solid bass.